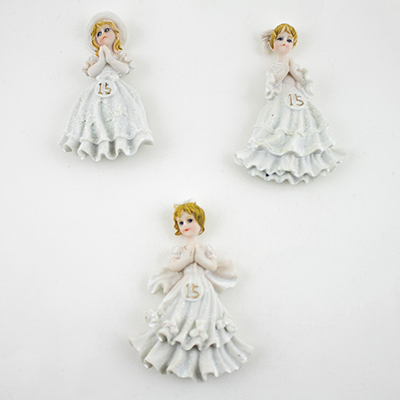 Cute Quinceanera Princess Figurine Favor The set contains four different figurines magnets. These make ideal decorations for Quinceanera events. 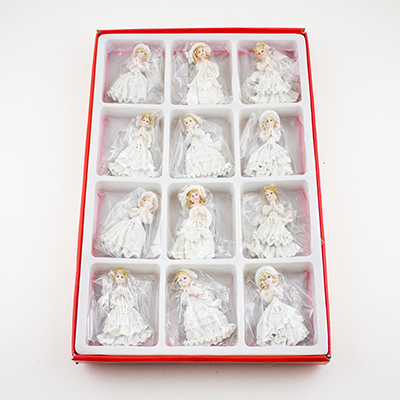 Each figurine is 3 1/4 inches tall by 2 inches wide.